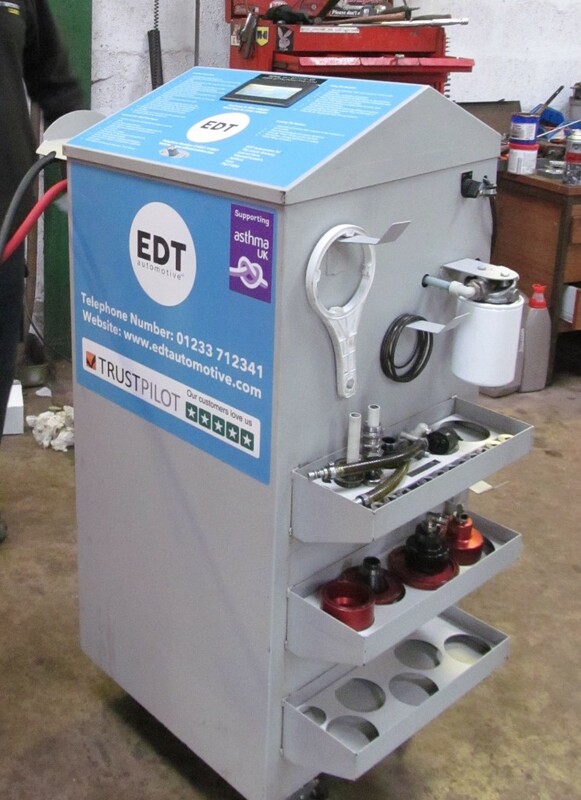 Xclusively Jaguar was introduced to EDT Automotive by our local garage, who had been approached by EDT Automotive’s CEO David Holmes, with an offer to bring one of their engine cleaning machines to Scott Brown Cars and show them the results. All Scott had to do in return was provide a car as a demonstrator. Scott knew immediately whose car he would choose, and phoned Rob Jenner to invite him to bring his 201,000 mile 2008 2.7 Diesel XJ saloon to the garage. Rob and I are very conscious of the damage that can be done to a diesel engine if diesel gets into the engine oil, so we keep a close eye on it and change the oil every 10,000 miles, despite the recommended service interval being every 15,000 miles. Scott didn’t introduce Rob Jenner and Letitia Mace from Xclusively Jaguar, so David Holmes didn’t know his product was on trial and he was rather taken aback by the constant stream of probing questions! To Rob and I, it was important that we understood exactly what this system could do and whether or not it would work. If we liked it, we had decided that we would promote it – if not, we would warn others not to waste their time and money. 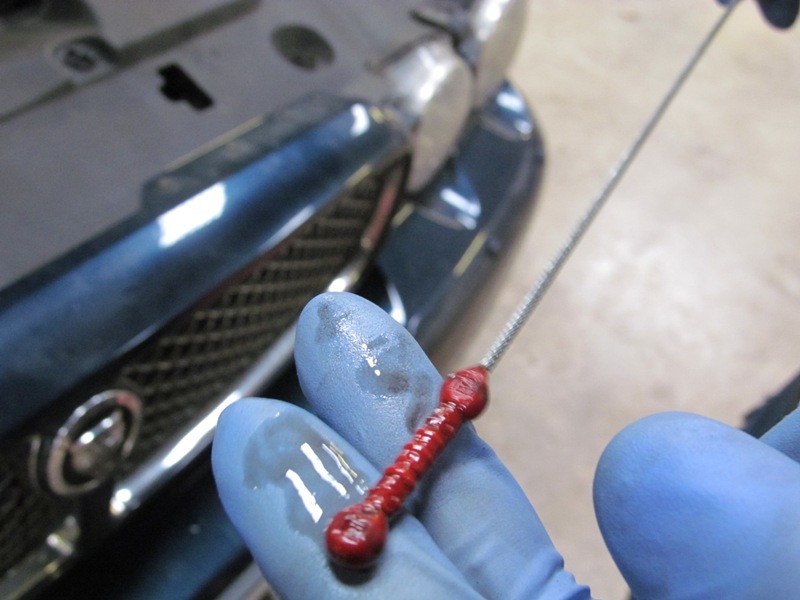 Our conclusion is that next time you take your Jaguar for an oil change, we think it is well worth considering this treatment. Here’s how it works ……. The cleaning process begins with running the engine to warm the oil, as for a normal oil change. 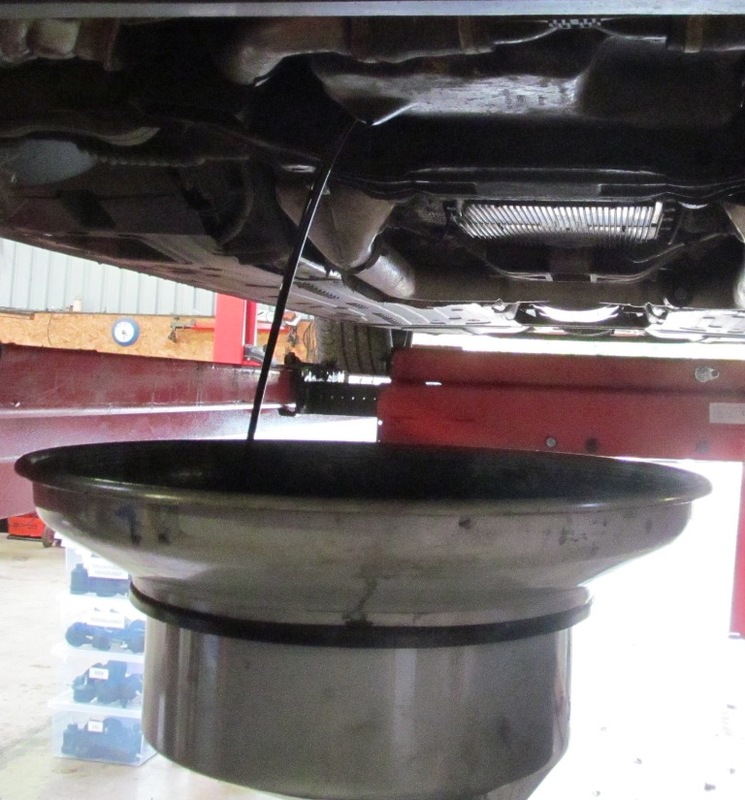 The sump plug is removed and the oil is then drained, as per normal. The oil in our 2008 2.7 Diesel XJ was changed 10,000 miles ago and is opaque black. 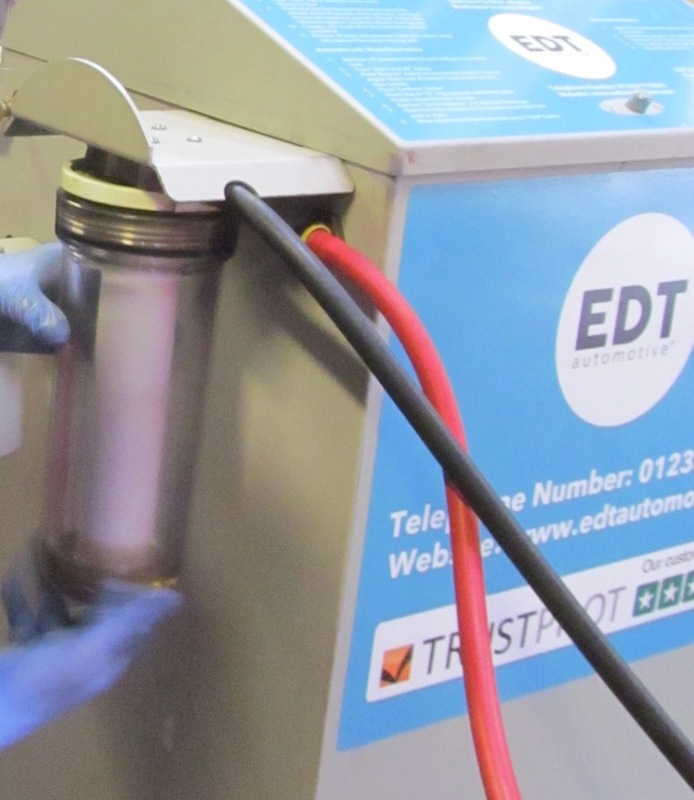 The EDT Automotive cleaning process involves the piece of equipment pictured left and takes approximately 20 minutes, plus fitting and refilling the engine with fresh oil after the process is complete. A new, clean filter (as seen to the right-hand side of this picture) is fitted to the cleaning unit before the process begins. The cleaning unit is then linked up to the engine via two pipes, to form a circuit. 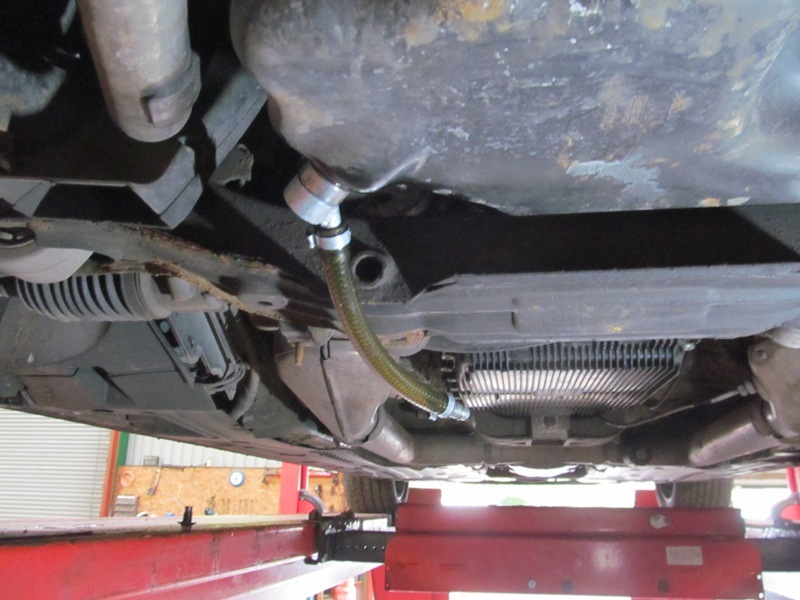 One pipe feeds into the top of the engine (where you would normally top up/refill your engine with oil). An adaptor is fitted to allow this. Another adaptor is fitted to the drain in the sump. 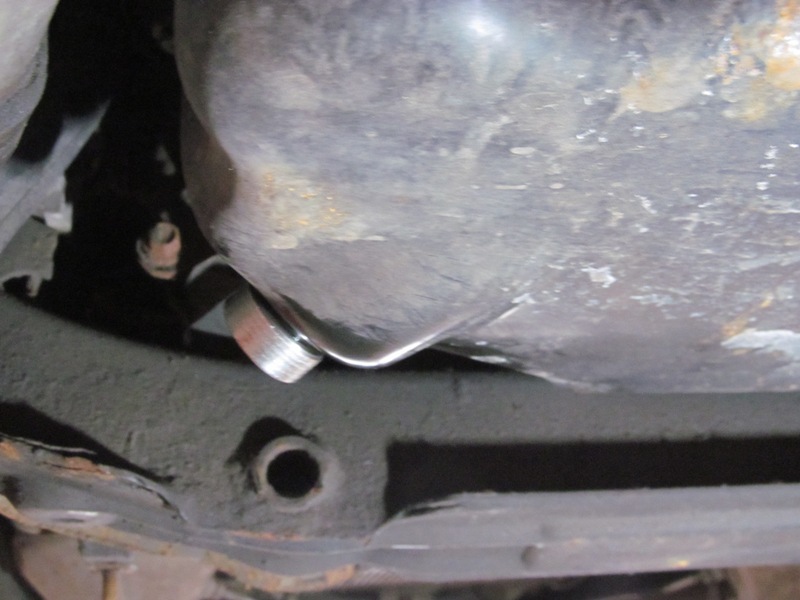 A second pipe is fitted in place of the sump plug, and returns to the cleaning unit. A series of adaptors allow the cleaning unit to fit any number of cars. Adaptors, filters and other components relating to the EDT Automotive Cleaning system. Interesting to note commonality between apparently unconnected manufacturers! Once connected to the cleaning unit, heated light-mineral oil is pumped into the engine and cycles through the cleaning unit and filter, under pressure, for approximately 10 minutes. 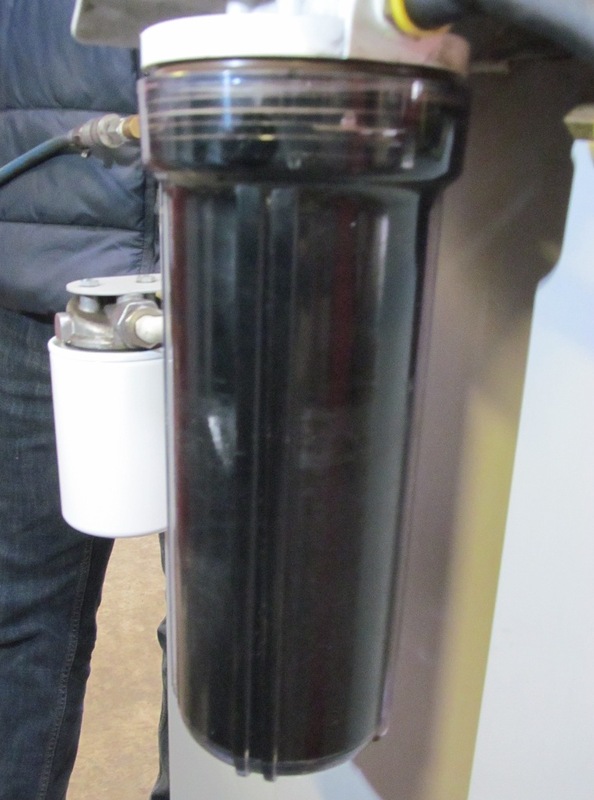 The light-mineral oil soon becomes opaque black and can be seen in the filter canister on the side of the cleaning unit. This filters the light-mineral oil before it is cycled back through the engine. Following this, the light-mineral oil is then left to soak in the engine for approximately 10 minutes before being pumped back through the filter once again. Finally, the light-mineral oil is vacuumed out of the engine, so that there is no residue in the engine, sump or oil cooler. 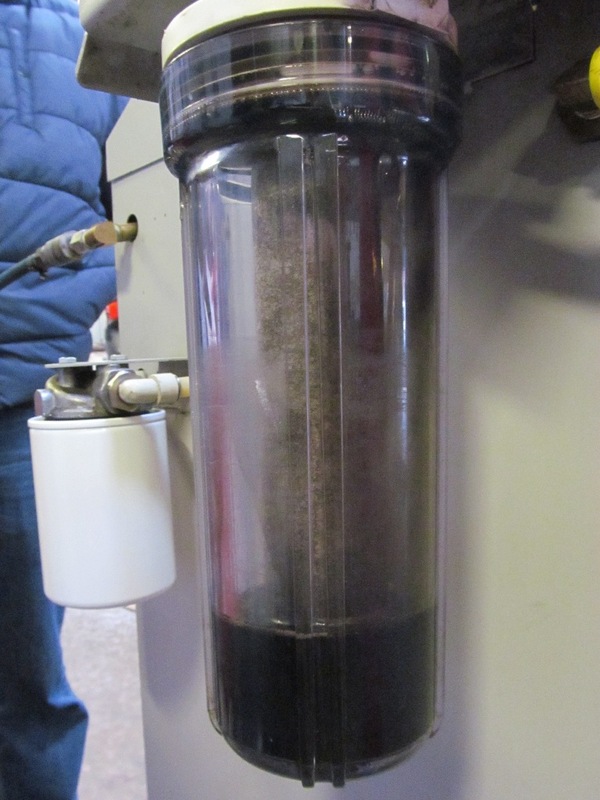 The filter in the cleaning unit is efficient to 1 micron, compared to a normal automotive oil filter, which is efficient to 20 microns, and having done its job, it is now black, with a dirty residue left in the base of the canister. 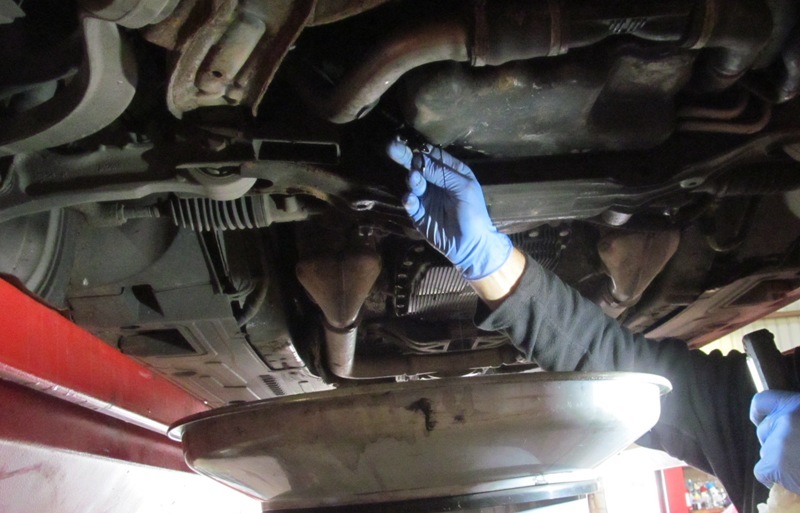 The pipes are then removed, the sump plug replaced and the car is refilled with the correct specification oil of a brand of the customer’s choice, as per a normal oil change. In this case, the car is driven a few miles to test it, and then brought back to the workshop and, as can be seen, the oil is still clean! It is not normal to see this in a diesel engine! 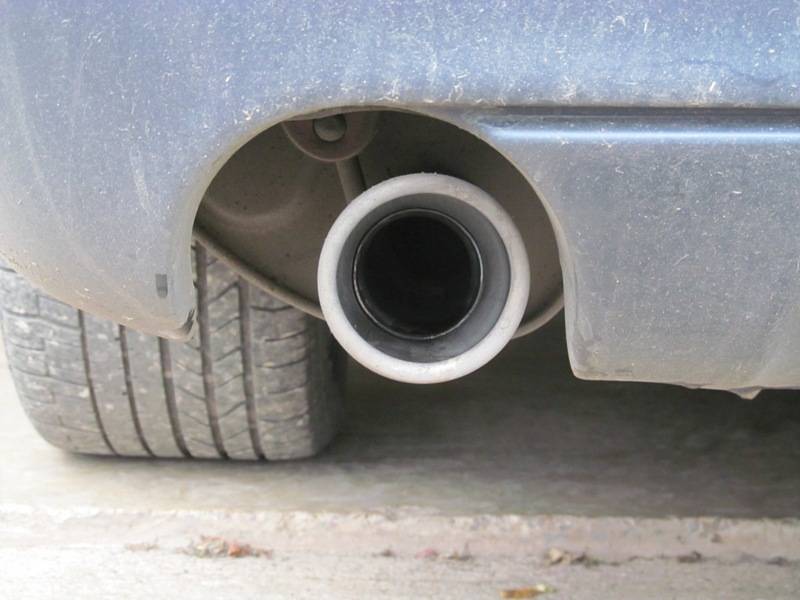 We also noticed that the tail pipes were already cleaner, and EDT Automotive pointed out that their system cleans a diesel engine, and the exhaust will follow shortly afterwards, as the emissions are far cleaner. 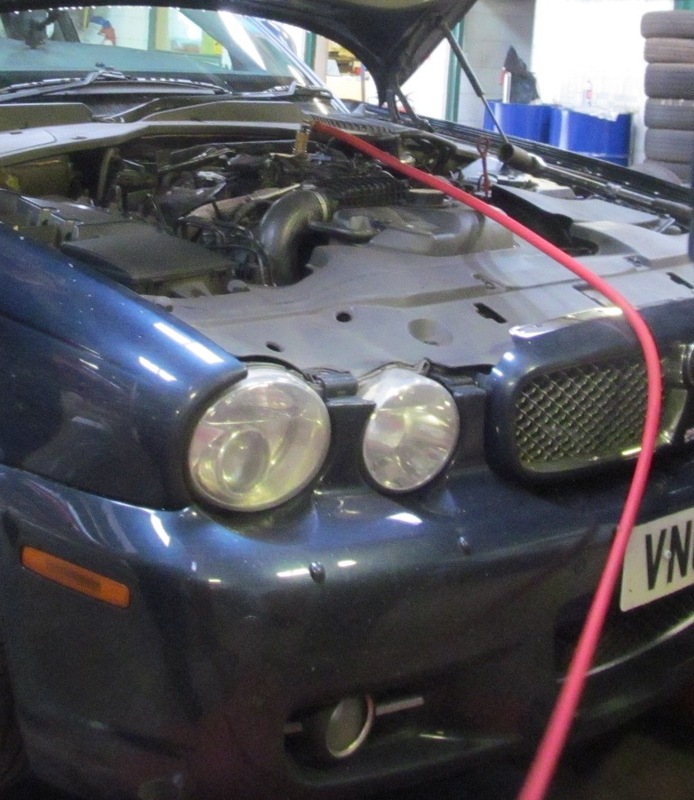 The 2.7 Diesel featured here, was treated in October 2017, and the engine was immediately running more smoothly and quietly – prior to the treatment it had become a typically rattly/lumpy diesel, and was instantly restored to a smooth running Jaguar diesel, as it would have been when new. There was an immediate improvement in performance – it had become quite sluggish, and the increased torque allowed for a better gear change. Fuel economy has not improved, however, the car does have other age related issues and has since been to Prestige Jaguar in Paisley for a replacement turbo, so may take longer to establish in this instance. Although you can have this treatment as a one-off, the effect can obviously only last for so long. You are effectively, taking the engine back to its original state when new, so eventually, engine deposits will build up again. If, like me, you are super-fastidious about engine cleanliness for reasons of longevity or economy, you may opt to have the treatment at specified intervals, such as, annually or at every service. 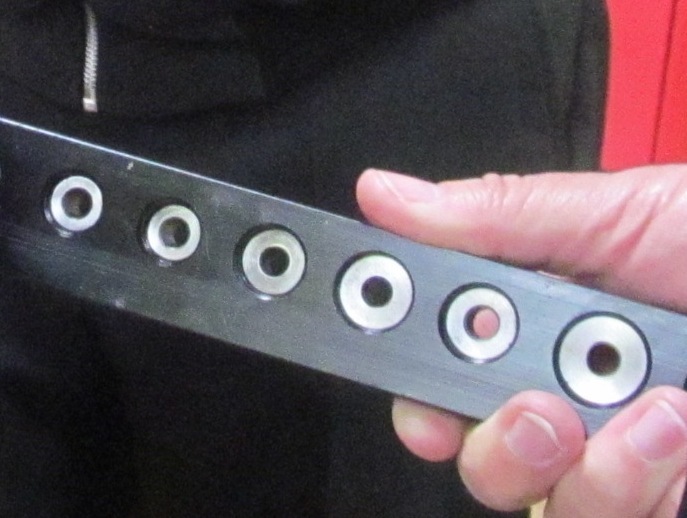 It cannot empty a thermo controlled oil cooler, as fitted to a BMW or Porsche, for example. 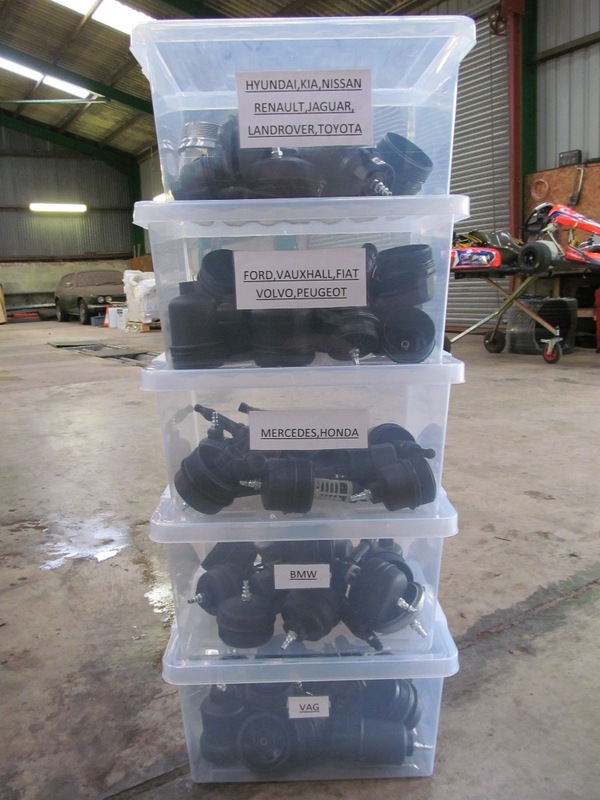 It cannot be used on an engine with a dry sump, so that’s our Maserati’s out of the equation! My son has also had his Diesel VW van treated and reports a noticeable improvement in quietness, smoothness and economy. Petrol engines obviously benefit too, and next year we hope to get around to having some of ours treated. For more information on EDT Automotive, visit www.edtautomotive.com or call 01233 712341.